Showing results for tags 'shield'. Stephen Appiah was 14 years and 322 days old when he made his senior debut for Ghana. He is the 8th youngest player to play a full international and the youngest to have played for a country that has qualified for a senior World Cup. Although Appiah was never really a global superstar, his was a career that nearly any player would have been proud of. He had 67 senior caps for Ghana, scoring 14 goals. He won a FIFA u17 World Cup, was an Olympian and played in several AFCON tournaments. On the club side, he managed to find the field for one of the biggest clubs in the world, Juventus, where he made 10 Champions League appearances. I can’t say that I remember what kind of hype Appiah had back on Nov 11, 1995 when he made his debut, but I suspect there was a lot of excitement about him. You don’t play a kid who isn’t even 15 yet unless you think he has immense talent and potential. However, I know this: If that debut had taken place even 10 years later we all would remember the hype. In November ’95 only geeks and the truly obsessive were using the Internet beyond checking their email and patiently waiting three hours for the pixels to reveal what that photo was going to show. In 2005, everyone was on the Internet and we had started to move into the hype first, substance last world that we currently live in. I do remember talking about the soccer poster boy for lost potential, Freddy Adu, in 2005. Let’s not pile on Freddy’s soccer grave here, but we can all agree that the hype of the mid 2000s never really panned out for him. In fact, Adu’s biggest contribution to modern North American soccer has been to become a lesson to point to when hyping up young players. “Pump the breaks, we don’t want to see ____ become another Freddy Adu,” is something you consistently hear whenever a young player breaks through. It’s something we’ve heard in relation to the 2017 Gold Cup Golden Boot and Young Player of the tournament winner, Alphonso Davies. At just 16, he continues to be protected at every turn by both the Whitecaps and the CSA. The shadow of Adu looms large, despite the fact that Adu wasn’t a product of this country, nor of the MLS academy era. There’s some good in that. You do want to manage a young player to a certain extent. At the Gold Cup, Davies’ play did fade as the tournament wore on. The quarterfinal was probably his least effective game. But, here’s the thing. For every Adu there’s an Appiah. There is no direct correlation between debuting young and failing. 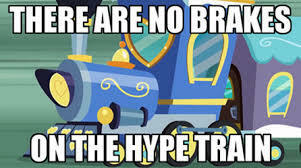 There’s not even a direct connection between hype and failing. So, we need to treat Davies like his own man (boy?) and let his story tell itself. As fans, we can also allow ourselves to be excited by not just Davies but by all the young players that are stepping up for Canada on both the men’s and women’s teams. Jordyn Huitema, Raheem Edwards, Deanna Rose and Davies are the future and the future, for once, looks pretty good. Be excited. Celebrate their accomplishments thus far and dream of a future with even more glory. Davies story isn’t just one that’s being noticed in Canada. You don’t win a Golden Boot at a Confederation Championship event without ears perking up around the football world. When he becomes eligible to be transferred the names that are going to be attached to him are going to make long-term Canadian fans dizzy. That’s in the near future. But, in the meantime Vancouver and Canadian fans should enjoy the remaining time we have with this kid and stop worrying about whether we’re putting too much pressure on him. Talent finds its way. In short, pump the breaks less and spread the wings more. The numbers say...plan the parade! Back in the glory days of the 24thMinute.com (no one blogs anymore. It’s kind of sad, he says ironically) I used to publish a monthly projection of the MLS standings that was designed to take into consideration the massive swing in fortune between teams playing at home and on the road. Many TFC fans got irrationally angry at such a suggestion because, at the time, they had seen no evidence of teams excelling at home. Man, weren’t those early days fun! However, the simply projections proved to be remarkably accurate throughout the years that I published them. After a Twitter exchange with Kurt Larson and Doug Roberson of AJC.com earlier this week I was compelled to revisit my old tracking system. The impetus to the discussion and my curiosity was the fact that Atlanta has an absurd six game home stand in September. As with TFC’s absurd road trips to start 2015 and 2016 the reason for the long stretch at home is stadium related. The Falcons are building the latest shrine to the NFL (No, Tom Brady has not been invited to the grand opening) and Atlanta United is sharing in the spoils. By all accounts it’s going to be one hell of a stadium. It must be because it’s not exactly one of those Soccer Specific Stadiums Don Garber talks about when it fits his agenda. At any rate, Larson felt that this long home stand, combined with a current solid run of form, meant that Atlanta was in the Supporters Shield race. Roberson, who covers the team for AJC.com, agreed, with the caveat that Atlanta was a difficult team to project in 2017. I, the contrarian I tend to be, disagreed and I threw a whole bunch of those fancy stats at them to back up my opinion. Specifically they have the worst PDO in MLS, were 12th in xGoals, 19th in xGoals against and 12th in TSR. For those who read the above paragraph as Greek – the PDO number means they are, statistically speaking, the luckiest team in the league, score way more goals than their possession and shot placement would suggest, let in fewer goals than the same against them would suggest and they typically give up more shots than they get themselves (which has proven to be a very effective measure of success in global football, albeit less so in MLS). Now, part of the reason Atlanta’s numbers are lower might be because they’ve played more road games than home games (12 to 8), but it’s still dangerous to ignore them completely. There’s little to no guarantee that a home heavy schedule will automatically mean that you can just automatically say 6 x 3 = 18 GO! Just ask 2015 TFC about that… But, anyway. I decided to break it down into the simplest projection I could think of to try and factor in the home schedule of Atlanta’s to see how much of a penitential threat the upstarts are to TFC’s Shield run. Before I present the table please remember that I fully understand that a projection based on past performance in no way guarantees that the same form will continue. It simply means that IF teams continue to play the way that they have this season thus far we can reasonably project that they will finish with X amount of points. This isn’t a complicated formula (H pts / H GP x 17) + (R pts / R GP x17) = Projected final points. Here are the results: East 1. Toronto FC 66 2. Chicago 62 3. NYCFC 59 4. Atlanta 59 5. NYRB 54 6. Columbus 49 7. Orlando 45 8. Montreal 44 9. Philly 39 10. New England 39 11. DCU 30 West 1. Dallas 61 2. SKC 54 3. Houston 53 4. Seattle 50 5. Vancouver 48 6. Portland 46 7. San Jose 43 8. RSL 38 9. Galaxy 37 10. Colorado 31 11. Minnesota 27 Plan. The. Parade. Ok, maybe not, but the projection backs up the eyeball test that TFC remains the clear favourite to capture the Shield and it also suggests, as most eyeball tests have also suggested, that Dallas is the class of the West. Another thing that it suggests is that if you’re under the red line in July, it’s going to be a fight to pull above it by October. It’s happened, but far, far less likely than the hype-masters at league headquarters would have you believe. The standings at the 2/3 point are usually pretty close to how things will shake out at the end. In terms of Atlanta, it does show a very healthy return on points, but ultimately they are probably too far back already in MLS, where 6 points might as well be 20. Of course it all resets to 0 once the final 12 are decided. 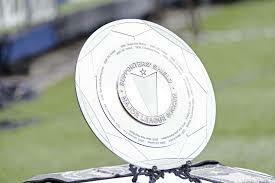 As for TFC…maybe don’t plan the parade, but start sketching out the Shield winning tifo design. Quietly. You wouldn’t want to jinx it, after all.